The violence in the state of Rakhine in Myanmar, which began on 25 August 2017, has driven over 600,000 Rohingya refugees across the border into the Cox's Bazar district of Bangladesh. There were already about 300,000 people who had fled Myanmar in previous waves of expulsions. Existing settlements and camps have expanded with the new influx and formed new spontaneous settlements that are now growing rapidly. A number of newcomers will also be admitted to the local host communities. In this context, an outbreak of diphtheria began in November 2017. 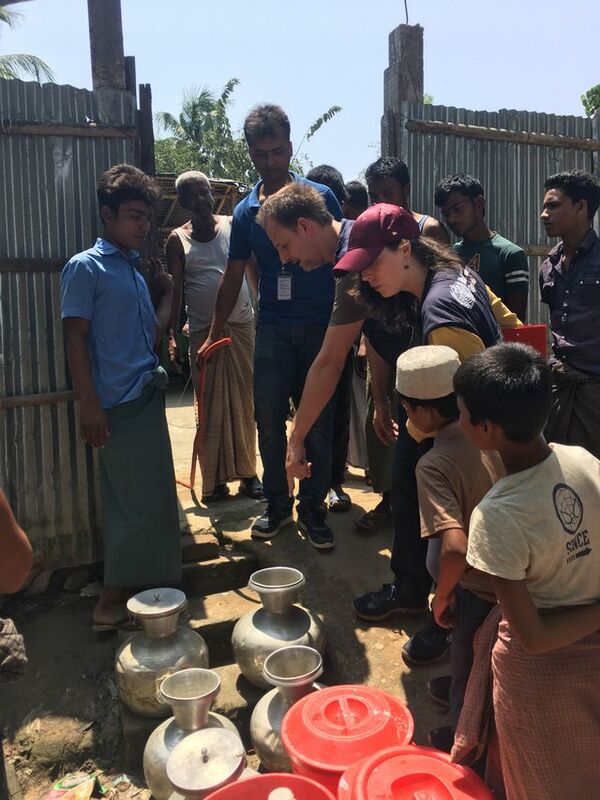 Geographically, the outbreak has increasingly spread to the various refugee camps south of the city of Cox's Bazar and has also led to cases in the host communities. WHO and other organizations are working together to limit the outbreak of diphtheria and to prevent future outbreaks of infectious diseases. With the upcoming monsoon, there are fears of an increased incidence of infectious diseases. In December 2017 GOARN made a first call for experts to support the activities, and repeated it in March 2018. In response to this appeal, the RKI has already sent three colleagues to Bangladesh. A colleague from the field of vaccine prevention has already returned after eight weeks of work, and two colleagues from the Surveillance department are currently on site for six weeks each as part of the Global Health Programme. Another RKI employee from Department 3 will travel to Bangladesh next week. The tasks of the RKI scientists on site were or are mainly the coordination of contact person tracking for diphtheria, the support and further development of the Early Warning, Alert and Response System (EWARS) developed for this crisis for selected pathogens with outbreak potential, and the regular analysis of the data collected there including the verification and evaluation of signals occurring. 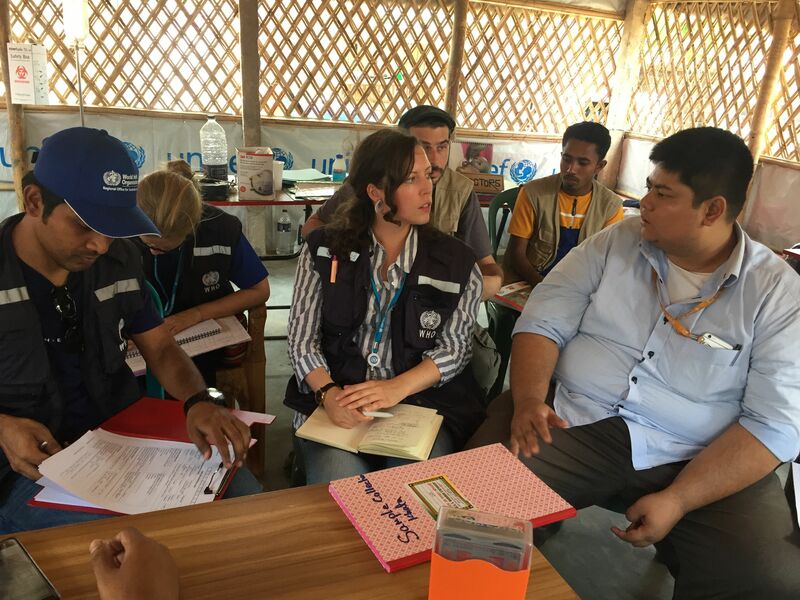 Other areas of work include collaboration in preparing a preparedness plan for acute watery diarrhoea, epidemiological support in responding to suspected cases and coordination of community-based surveillance activities for mortality in the camps. A RKI officer was also responsible for coordinating and directing the activities of the Epidemiology Team within the WHO District Office.